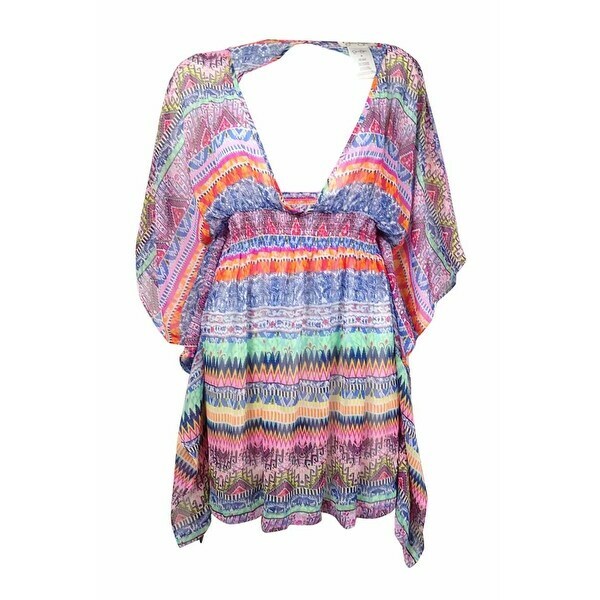 Coverup features no lining, printed crepe fabric, open back, shirred waist, and pullover style with button back closure. This is your go-to guide on what top items to pack for the beach. This is the ultimate list of the top beach items you'll need for a fantastic day amid the sand and waves. To choose the perfect swimsuit in the privacy of your own home, start with a cloth measuring tape and an idea of what kind of suit best fits your lifestyle. Take a look at these tips on how to measure for and pick out the right swimsuit. How to Keep a Bathing Suit from Fading from Overstock.com. By following these steps, you can keep a swimsuit from fading, which in turn helps it last season after season.